Our solutions are not limited to software. We also offer an array of professional services to augment your workflow. Please click on the tabs above for additional information. Our technical support services ensure a smooth implementation, customized training for your entire team, and ongoing assistance with the most complex aspects of your business. HTML Conversion, EDGAR, and XBRLIntegrated with all of the tools for complete conversion and filing of compliance documents, our FileVision product is the most advanced HTML conversion solution in the industry.E-DeliveryMcMunn Associates offers electronic delivery platforms that provide PDF proofs and/or HTML proofs at every stage of a production cycle. The McMunn group is a global network of professionals skilled in automation and traditional document management creation. ​Support ServicesMcMunn Associates is a solutions leader in the financial services industry. From business questions to technical support, our professional services team will provide assistance to address operations questions regarding our products and how they can augment your workflow.Typesetting and Pre-PressWe create proprietary automation services for a variety of pre-press documents, including many document types thought to be too problematic or complex for automation. However, when a process is not suited for automation, we partner with our clients to provide alternative services.ProofreadingWe have a dedicated, onsite staff for the quality assurance of our work and of yours.ConsultingOur clients are our core business and we are committed to your long-term success. We offer consulting services to help you achieve your business goals through cutting edge technology and best-in-class services. When faced with unique projects that call for nontraditional methods, we will work with you to create custom solutions for any workflow challenge. ​Custom SolutionsNo automation project is too complicated for McMunn Associates. 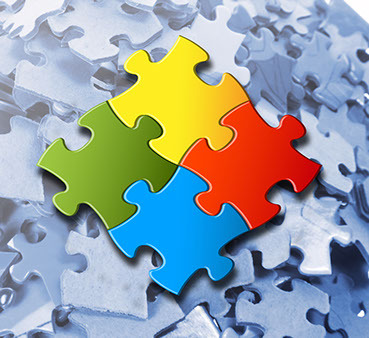 When our competitors say it cannot be done, we will always find a solution.Custom DevelopmentYou can create a service solution as unique as your business demands through our McMunn EnVision Suite modules. However, should you need further customization, our professional services and consulting staff will work with you to develop a product to fit your specific requirements.Translation ServicesMcMunn Associates provides comprehensive solutions for domestic and offshore mutual funds, law firms, and corporations that need to translate documents to/from English and other languages.Other ServicesOur top priorities are to improve workflow, offer strategic management, and provide exceptional service on time and on budget. Contact us to find the solution that will best work for your organization.